When I was my children’s age, I had some neighbors that had those orange flexible tracks for Hot Wheels cars. Try as I might, I never could get one of those cars to go through a loop. Clearly, I am not the person who planned this jump from Team Hot Wheels. You can watch a video of it after the jump, and see the longest jump by a four-wheeled vehicle on May 29th, 2011 at the Indianapolis 500. I’m not certain, but it sounds as if this life-sized Hot Wheels vehicle has no engine. I guess they must have just got some giant hand to push it up the ramp before they pushed it down. Next week, I am leaving for L.A. to go to E3, but I’m sure that most of the news before the big video game conference will be devoted to what Apple is doing. At WWDC 2011, Steve Jobs will be on deck to announced three new big things (at least) with iCloud, OS X Lion, and iOS 5. So what is iCloud? Right now, there isn’t anything on that website, but it is the cloud service that we have all have been wanting on Apple for a long time now. I am guessing that the iCloud will be some sort of new streaming music service like on MobileMe, or something, just like Amazon and Google are doing. The rumors are that this streaming could apply to more than just music, but to movies and television. 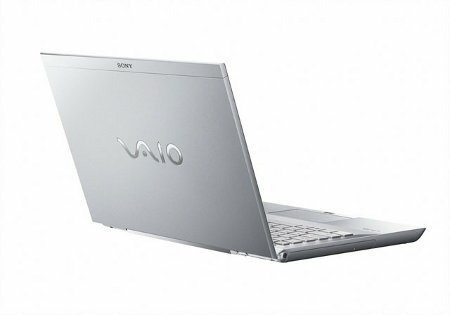 Sony’s VAIO laptops is a well established range over the years, and for good reason, too. They’ve proved to be stylish and technologically advanced, although some people might feel that when it comes to value for money, it isn’t quite there just yet. Well, this has not stopped the Japanese company from rolling out newer models, and one of their latest efforts would be the Sony VAIO S Series. The VAIO S Series laptop will merge for the first time portability, performance and power in a thinner, lighter design that is perfect for everyone, never mind if you are a student or a business traveler. It intends to break down the previous perceived wall of being aloof by offering users more personalized options and flexibility in order to suit their lifestyle. Own an iPad or iPad 2 and love it to bits? Well, if you are the type who has plenty of time to watch movies on the iPad, then you would surely know that carrying the iPad at all times can prove to be quite the unwieldy experience, not to mention giving your hand a good cramp. There are mounts, and then there are mounts – and one of the later models available would be the MountMe Freedom II. MountMe Freedom II will target owners of both iPad generations, where it is now up for pre-order where you will be able to receive a special discount of 10% to 25% off (the former if you purchase one model, while the latter applies when you buy two). This unique protective carrying case will boast a durable mounting and standing accessory which will deliver a special all-in-one solution, turning your precious tablet into an entertainment center with optimal viewing options. Check out this UFO Tree House! If you were jogging in the forest one day, and you looked up and saw this huge football shaped object hovering there, what would you think? If you were thinking that you just saw a UFO, then you would be partially correct. This is a tree house in the shape of a UFO. I’m not certain whether or not this was designed for small children or adults, but it has a dinning area, bedroom, living room, and bathroom. Seriously, it has a bathroom. I have no idea if the plumbing goes up the tree trunk or what, but unless it is some sort of outhouse, I want to live here. Then again, I don’t know how tall the ceilings are, but they look pretty low. Read moreCheck out this UFO Tree House! There’s nothing I like more than reporting on robots on this blog, and this one has is certainly has something unusual on two fronts. First, it is can climb up walls, provided they are made of glass. It has suction cups, and they could take away all window washing jobs permanently. No more of those guys hanging off the sides of tall buildings. Unfortunately, the suction cups won’t keep the robot affixed to the side of a glass building, not by themselves anyway. Here’s where it gets interesting. This robot has a vacuum suction that is generated by water. Yes, this robot can run on water. Not only that, the excess water is squirted out, which will help wash the windows. Right now, I am in the San Francisco area, but I wish I could have been there for the Maker Faire, which was last week. The Drawing Machine that you see here in the photo was one of the winners of an Editor’s Choice award, and he didn’t even expect to show it off at this year’s fair. The device is able to recreate a JPG mechanically in the form of a drawing. It has a set-up with Arduino software, and it takes weeks or even months to complete the image. You have to admit that is a pretty long time to wait for a drawing, and yes, a human would be able to do it faster. I’m not certain if a human can achieve the level of detail that this device can, as it makes a drawing of Frankenstein’s monster from the classic motion picture look like a still from the movie.